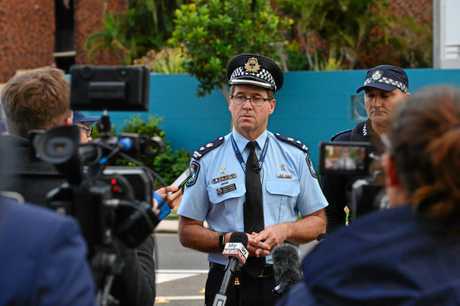 SUNSHINE Coast police have defended their pursuit policy after a spate of high-speed chases across the region this year. Superintendent Darryl Johnson said police considered a number of risks before a chase with 14 car, foot and PolAir chases reported this year by the Daily. Despite the high number of chases, Supt Johnson said the trend of people bolting stretched across the Coast and was not concentrated in one area. "Offenders are actively avoiding police more and more," he said. 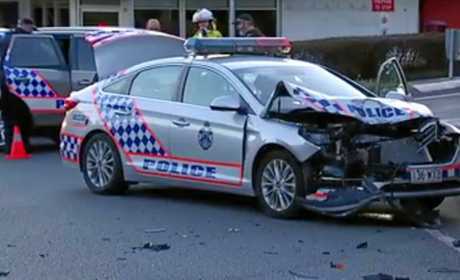 Major high-speed chases this year involved cars evading police at more than140km/h, ramming police vehicles, injuring officers and often ended in pile-ups. Off the back of 21 road fatalities on the Sunshine Coast from 2016-17, there was 126 police pursuits ensued in the same time frame in Queensland. Supt Johnson said police considered several risks before conducting a pursuit in the wake of tighter "no pursuit" laws dropping last year. "Our primary concern is the safety of the community and we need to consider that with every decision," he said. "We consider the risks, weather conditions, type of offence and behaviour before conducting any chase. 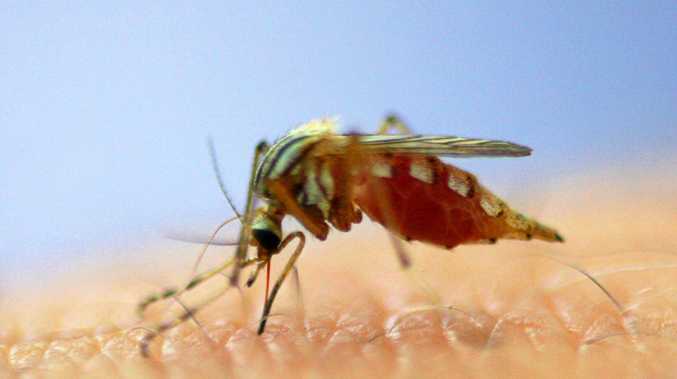 "If people are putting others in serious danger, we will continue." Police pursuits for offenders who committed an indictable offence made up 63 per cent of chases in Queensland last year while offenders with imminent threat to the life of others was nine per cent. Supt Johnson said this danger posed to other road users was paramount and police often used tactics to stop vehicles without continuing chase. "We utilise tyre deflation devices where we can and we have seen great success with this tool," he said. Supt Johnson said police helicopter, PolAir was also deployed in high-speed situations for an extra set of eyes. Despite the guidelines, non-pursuable matters took up 13 per cent of chases in the state. "What's first and foremost in our minds is the safety of everyone on the roadway," he said. "If we believe a pursuit is a danger to the community, the officer will abandon the pursuit." A fugitive who escaped police after a massive south-east police chase was caught as a passenger in a ride-sharing service earlier this year. Dozens of police cars and a police helicopter were involved in the chase spanning from Brisbane to Maryborough. Police released footage of a chase from Eudlo to Beerwah where a car weaved in and out of traffic. The Polair helicopter caught all the drama unfolding on camera. Road spikes eventually stopped his vehicle, a red Holden Commodore, on Roys Road at Beerwah and a man was detained. A man allegedly used a stolen vehicle to ram police cars twice in a dramatic chase through the Sunshine Coast. Police arrived at a residence to speak to a man and woman in relation to an alleged stolen vehicle before they fled the scene in a car. Police officers followed the vehicle and attempted to intercept it, but the man reversed his vehicle into the police car before continuing to drive away. Spikes and a police helicopter were deployed to catch a trio in an alleged stolen car doing 140km/h from Caboolture to Wamuran. Police allege just after 7am, a 2004 Holden Adventra was stolen from a north Brisbane address which was later tracked by PolAir through the Caboolture region. It will be alleged that the vehicle was driven dangerously including on the wrong side of the road and at speeds up to 140km/h. Officers called off a chase for safety concerns after a man sped through a traffic block after a serious accident. The car was later found on fire with drugs, burglary utensils and a stolen ring on the driver's possession. Police pursued a group of teens allegedly behind a mass ransacking of four Coast homes in August. Several sets of car keys were taken and a 2013 Landrover Discovery was stolen from a home. Stingers were laid and the car was stopped. Two men armed with sledgehammers, riding the high of a strung-out crime spree and under the influence of drugs attacked an officer in September. The men stole two sledgehammers after a break in and ran back to their getaway cars before an officer gave chase. The man swung his sledgehammer but the officer ducked and wrestled the weapon free. The accomplice made a run for it but the officer was right on his heels and used the sledgehammer to smash one of the ute's doors, stopping him from getting in. 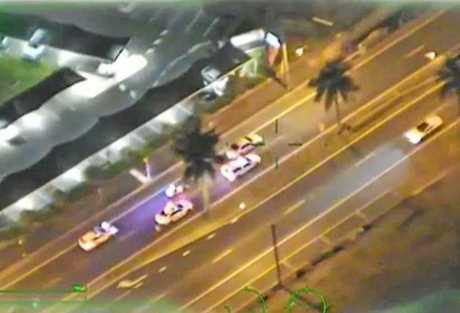 Polair, stingers and a dog squad were used to stop a dangerous Bruce Hwy chase. Officers followed the vehicle on to the Bruce Highway and called in Polair to assist. A Queensland Police spokesman said the car was driven dangerously in traffic and stingers were placed at the overpass on Pumicestone Rd. The spokesman said after a short chase, police intercepted the car on the highway near the Steve Irwin Way exit. Four people were been arrested following a police chase that started on the Sunshine Coast and ended with a major Bruce Hwy pile-up. A Queensland Police spokeswoman said after a traffic crash at Nambour, one vehicle evaded police and sped south. Police pursued and deployed spikes and the car crashed on the major highway. Police released footage of the lead up to a dramatic arrest which involved multiple vehicles and injured an officer. A police motorbike officer was alerted to man running on foot from a crash scene, suspected of multiple crimes and pursued him into a street. A brief struggle ensued and the officer sustained a leg injury. The man allegedly fled from police in Wurtulla on November 7 and has since been charged with several offences including dangerous driving. "Police followed the vehicle with the driver allegedly travelling at excessive speed in a number of back streets before turning into Gannawarra St where Polair2 commenced tracking the car." Tyler Lyle Lindsey Cone was high on ice, sitting in the driver's seat stolen car at a 7-Eleven service station when a police officer knocked on his window. The 22-year-old Nambour man put the Mazda CX-7 in reverse, rammed a police car and sped away, starting a dangerous escapade which went from Caboolture to Kybong in less than an hour. He was already on parole for other offences including using stolen cars. A police helicopter tracked Cone at speeds up to 150kmh as tyre spikes were laid across Steve Irwin Way at Glenview. 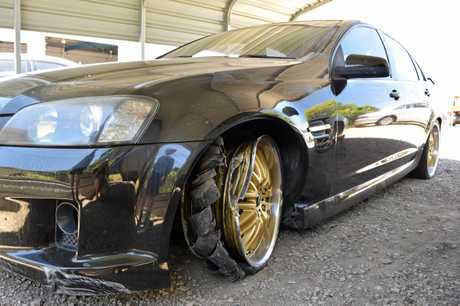 They shredded the car's front right tyre but did not stop it. Two men were busted mid-burglary before a dramatic police chase through the streets of the Sunshine Coast. The duo were spotted by a member of the public breaking into a home on Coolum St around midnight on November 25 before they fled the scene in a stolen car.